Tobacco consumption is one of the main causes of preventable disease globally — including cancer, stroke, and lung disease. The World Health Organization estimates that each year, tobacco consumption causes 6 million deaths worldwide, and in Latin America alone it is responsible for almost 380,000 deaths every year. In this region, the direct medical costs of smoking-related diseases have been estimated at US$33 billion per year. A 2016 analysis demonstrated that tax revenues from tobacco products cover just 37% of the smoking-attributable health expenditures in the region. However, these medical costs do not include indirect costs on the economy, such as loss of productivity in the workplace and premature death. Nor do the medical costs account for the effects of illicit trade — leading to a significant underestimation of the economic and disease-burden related to tobacco. This lack of data feeds false claims from the tobacco industry, for example, that tax increases will hurt the poor, cause job losses, and promote illicit trade that countries in the region struggle to counter. The potential effects of the tobacco tax policy on illicit trade, and the consequent tax evasion, constitute barriers to tax hike implementation in Latin American countries. 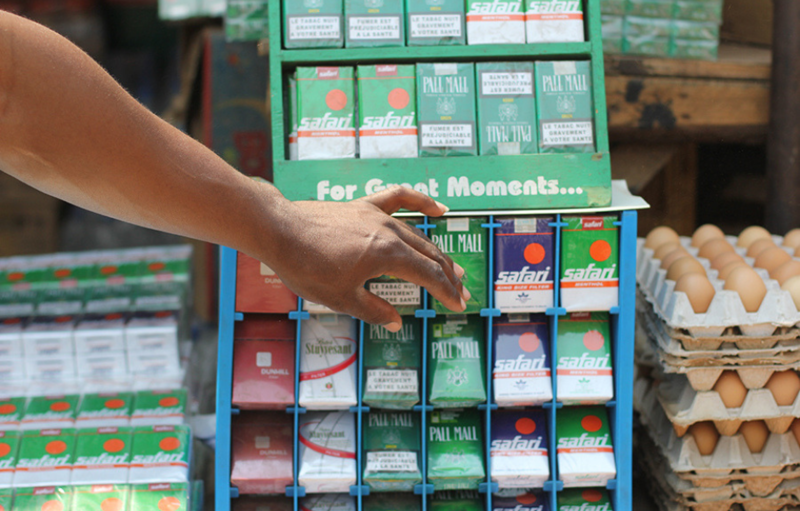 Decision-makers need accurate estimates of the health burden of tobacco and illicit trade effects in the region to strengthen policies and optimally increase tobacco taxes. The lead institution for the project is the Institute for Clinical Effectiveness and Health Policy (IECS) in Argentina. The IECS is an independent academic institution that has been dedicated to research, education, and technical cooperation in healthcare since 2002. The IECS’ goal is to improve the efficiency, equity, quality, and sustainability of healthcare services and systems in Latin America. Tobacco is a huge burden on economies. Tax revenues from tobacco products barely cover 37% of smoking-attributable health expenditures in Latin America. Tax hikes are needed, but there is a sufficient lack of evidence to influence key decision-makers. The country-level teams will identify and analyze economic, epidemiological, and public policy information related to smoking such as consumption patterns, tobacco tax structure, and aspects of social and gender equity. The project seeks to inform tax increase scenarios in each country to reduce the total economic burden of tobacco consumption and to influence policymakers to make lasting change. Tobacco control is central to meeting the United Nations 2030 Sustainable Development Goals (SDGs), notably SDG 1 (to end poverty) and SDG 3 (to ensure healthy lives). The evidence generated from this project will be oriented to meet the information needs of the different stakeholders involved in tobacco control in Latin American countries. The team hope to inform decision-makers about tobacco tax increase interventions based on specific local and regional evidence. The project will generate and develop new skills and knowledge in the countries of the region. This will also have an impact beyond tobacco-related disease, as learning how to measure productivity costs is useful for estimating the economic burden of other health events beyond those caused by smoking. The team also plans to develop a standardized web platform containing all of the materials generated by the project so that decision-makers, researchers, and the public can access updated economic, epidemiological, and public policy information on tobacco control. The teams’ long-term goal is to foster tobacco tax increases and other evidence-informed public health measures to reduce and control tobacco-related harm in the countries of Latin America.